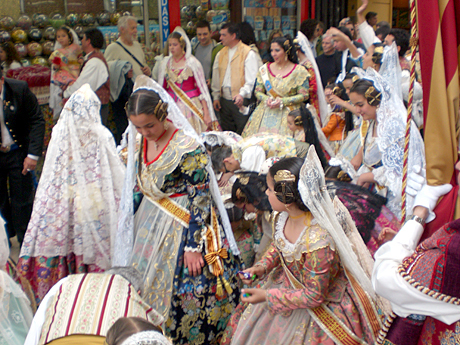 This is the phrase we’ve been hearing for two days straight now, as thousands of falleras from all over Valencia march with flowers to Our Lady of the Forsaken. There are two routes, one of which runs very close to our apartment. 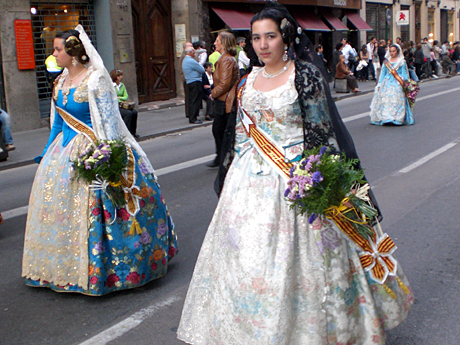 From 16:30 to 1:30am, they deliver their flowers to the Plaza de la Virgin, where male falleros (“Hey, Guapo!”) are using them to construct the lady’s dress. I’ve never really been confronted with a 7-hour parade before, let alone two consecutively, and as cynical as I’d like to believe I am, the unending marching music and shouting from the street do undeniably brighten my day. In fact, when today’s first band woke me from my siesta, I went onto our balcony in just my shorts and leaned over to watch the parade, clapping and shouting “Hey, Guapa!” I didn’t realize our neighbor was also out on her balcony. Heh — my sheepish grin was returned with an stone-faced glare. Valencia is insane. If you’re reading this before she’s taken apart, you can view the Lady on the Valencia Webcam on the right side of this blog. 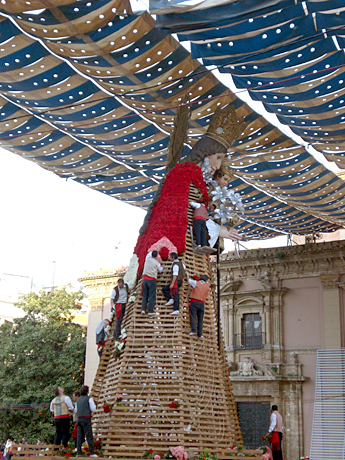 Unlike the Fallas, she won’t be burned on the 19th — which is kind of sad. 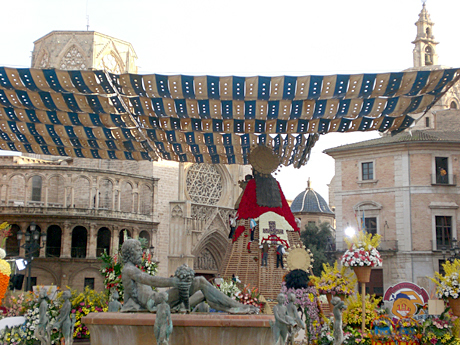 I’m valencian, I was born here and lived here all my life…. I’ve found your page very funny and interesting. Hope you have a good time and seeing you back next year. Have fun! 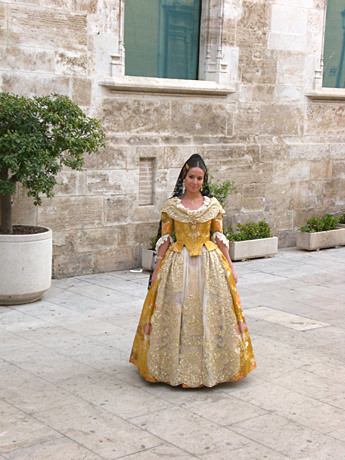 we actually moved to Valencia. 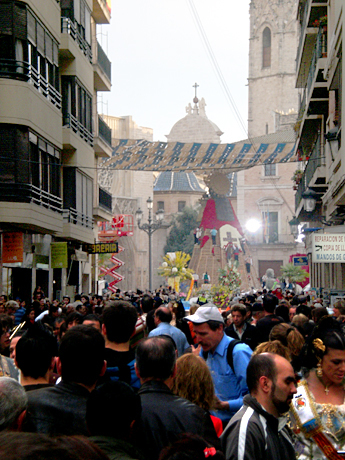 So we will be covering even more Valencia craziness. So far we are loving it. 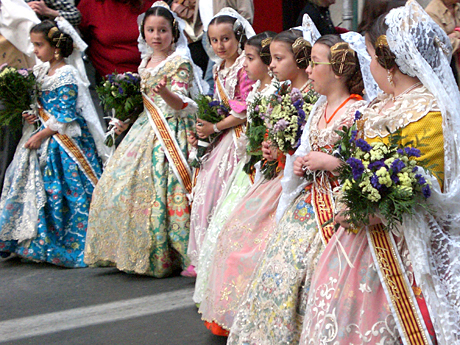 Can’t wait for my first Cremà!